The Fleet is internationally important for nature conservation. It possesses rare and sensitive populations of marine life and bird species which require spatial and temporal protection against damage and disturbance beyond that which can be given through current legislation specific to public access. Therefore the management of the Fleet waters has to rely on the powers of persuasion to prevent members of the public carrying out inappropriate boating activity. Whilst public safety takes top priority for those involved in the management of the Fleet, the maintenance of the Fleet, especially the mid Fleet, as a quiet area is one of the most important factors relating to the successful conservation of the area’s special wildlife. For these reasons, every attempt is made to persuade members of the public to avoid boating on the Fleet, especially the mid Fleet. 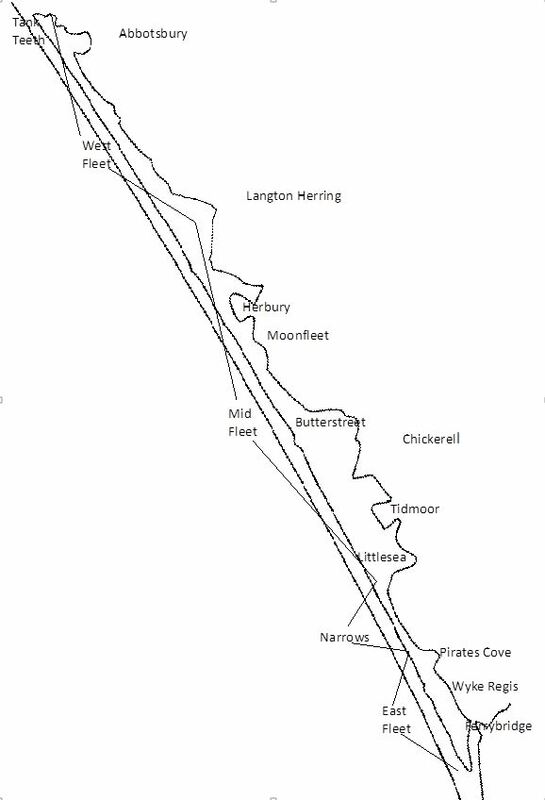 The Fleet seabed up to the mean high water mark is owned by the Ilchester Estates and part of the Reserve. The West Fleet is a closed, non-tidal area of water owned by the Estates and part of the Reserve. There are no boat slips bordering the Fleet that are open to the public. Boating in the mid Fleet is dissuaded as the water is shallow and the seabed comprises of soft, deep mud. There is also a tidal time lag, water levels can be significantly affected by atmospheric pressure and strong winds making the tides difficult to predict. A military firing range is frequently in operation. All moored boats/dinghies on the Fleet have to be registered with either CBFNR, however boats kept on the Ferrybridge Revetment need to register with Ferrybridge Marine Services (FMS). See right for more info & contact details. North West of the Langton Herring Parish Boundary. This area of the Fleet is non-tidal water that is owned by the Ilchester Estates who also own the Fleet sea-bed up to mean high water. Apart from authorised use by the Estates, all craft are prohibited in the West Fleet throughout the year. This policy is critical for wildlife, especially the many thousands of wintering waterfowl that use this unique area. Langton Herring Parish Boundary to the head of the Narrows-Portland Boundary. This area is traditionally only used by shallow drafted rowing boats called trows crossing directly from land shores to the beach. This is tidal water however, and as such can be legally accessed via Portland Harbour. The water is generally too shallow for the successful operation of motorised and keeled craft which could easily damage the highly protected sea-grass in this area as well as causing widespread disturbance to birds. It is long been accepted not to operate motor-boats here. Small-scale use of canoes and kayaks for paddling to the mid Fleet for enjoyment and the experience takes place infrequently and is an activity that is discouraged mainly for wildlife protection and because of the unpredictable tidal flows, water levels and weather conditions. It should only be carried out by competent people with appropriate guidance on nature conservation and safety requirements and with knowledge of the times of operation of the Royal Engineers’ small arms firing range at Chickerell. 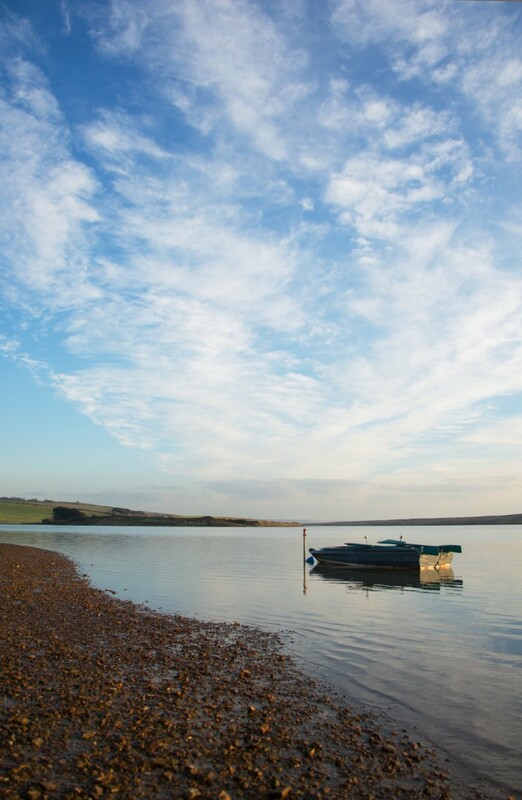 In recent years, many enquiries have been received regarding the possibility of canoeing and kayaking in the Fleet on a commercial basis, as a club or group activity, or purely for physical exercise. This has the potential to be particularly disturbing as wildfowl may have to contend with a ‘wall’ of canoeists in an area where normally no craft are encountered. Many important wildfowl species roost and feed here during the winter and several species, including Mute Swans carry out a summer moult during which they are flightless for six weeks and very vulnerable. Also vulnerable in the summer are flightless young of locally breeding Shelduck and several species of Waders. Mud-flats can quickly and completely drain and leave canoeists who have little or no knowledge of the channels (known locally as lakes) which need to be accessed on an ebbing tide, stranded. Some channels are a dead end. The mud is too soft to walk on. Rafts of impassable ‘flannel weed’ occur in the summer months. The Fleets marine life changes significantly here in the areas known as the Narrows and Ferrybridge. The sea-bed is no longer soft mud but harder material comprising of cobbles, pebbles and sand. The marine life is nevertheless just as rich and rare. Thankfully because the habitat favours plants of short stature and the water is generally deeper, the marine life is less easily damaged by boating activity. Whilst this easterly end of the Fleet may be suitable for small motor boats (advised speed limit of 6 knots) there are however a number of safety issues. There are expanses of intertidal mud-flats, tracts of pebbles which almost surface at low water and in the summer ‘forests’ of Japanese Seaweed are seen, which are highly capable of clogging up a propeller. A further hazard for sailing vessels and larger motor-boats of course is the Ferry Bridge! There are important safety considerations for those in kayaks and canoes too. The water can move very quickly in the Narrows and around the bridge. Little shelter from strong westerlies is afforded in the lee of Chesil and the Ferrybridge area is completely open to blows from the east. This map shows the break down of the Fleet in three defined areas. Please refer to this to it for certain boating restrictions that are enforced on the Fleet Lagoon. The water here is non-tidal and therefore, except for authorised craft, this area is prohibited throughout the year. Please see main body of text for full description. Traditionally only used by shallow drafted rowing boats called trows crossing from the landshore to the beach. Please see main body of text for full description. Whilst this easterly end of the Fleet may be environmentally suitable for small motor boats (advised speed limit of 6 knots) there are however a number of safety issues. Please see main body of text for full description. Tenders of up to a maximum of 12 foot can be stored on the revetment and the charge for this is £50 exc. VAT per year. The swinging moorings within the Fleet are available from the 1st Apr – 30th Sept and the cost is £70 per meter exc VAT per year.